FROM THE MAN BOOKER AND ORANGE PRIZE SHORTLISTED AUTHOR OF HALF BLOOD BLUES 'A masterpiece' Attica Locke 'High adventure fraught with cliffhanger twists mark this runaway-slave narrative, which leaps, sails, and soars ... broadens inventive possibilities for the antebellum novel' Kirkus starred review When two English brothers take the helm of a Barbados sugar plantation, Washington Black - an eleven year-old field slave - finds himself selected as personal servant to one of these men. The eccentric Christopher 'Titch' Wilde is a naturalist, explorer, scientist, inventor and abolitionist, whose single-minded pursuit of the perfect aerial machine mystifies all around him. Titch's idealistic plans are soon shattered and Washington finds himself in mortal danger. They escape the island together, but then then Titch disappears and Washington must make his way alone, following the promise of freedom further than he ever dreamed possible. From the blistering cane fields of Barbados to the icy wastes of the Canadian Arctic, from the mud-drowned streets of London to the eerie deserts of Morocco, Washington Black teems with all the strangeness and mystery of life. Inspired by a true story, Washington Black is the extraordinary tale of a world destroyed and made whole again. 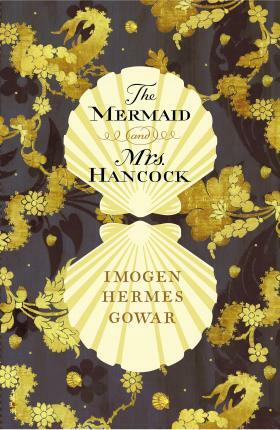 Full of vividly-drawn, lovable (and detestable) characters, this is a compulsively readable adventure set amid the world of 19th century slavery and science. 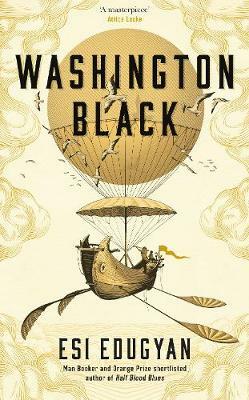 From his heart-rending life on a Barbados plantation to his heart-stopping flight aboard a flying machine, you'll be gobbling up the globe-trotting story of the eponymous Washington Black as it unfolds, and keen to press it into someone else's hands when it ends.